A taxi in Kyoto is a rather comfortable way of touring this characteristic old city in Japan. If you do not like taking trains or riding on buses, taxis are a great way to commute in Kyoto. 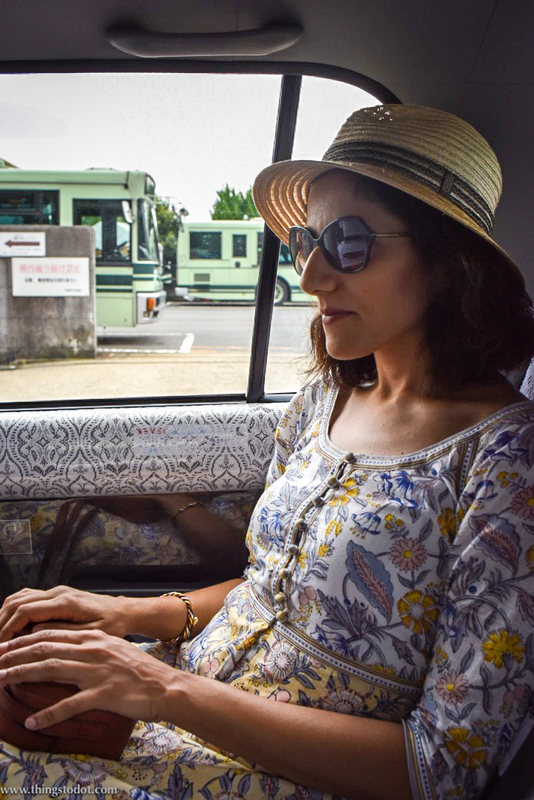 Here are some fun facts about riding in taxis in Kyoto. 1. You can stop a taxi anywhere on the streets of Kyoto by raising your hand. 2. A green light on the passenger’s side window shows that the taxi is already occupied, whereas a red light indicates that the taxi is available. 3. The taxi drivers are always elegantly dressed in white shirt and sometimes also white gloves. 4. Most of the taxi drivers cannot speak any English. It is a good idea to have a google translating app on your phone so that you can show the destination to your driver in Japanese. 5. The doors of the taxis open and close automatically! 6. Some taxi drivers may not accept cards in which case it is good to have cash on you. 7. The taxis have meters installed and the drivers are usually very honest. 8. You don't need to tip the taxi drivers. You may confuse the drivers by tipping them. 9. Taxi fares will increase with the size of the taxi! 10. Most of the taxi companies charge a 20% surcharge for taxis taken between 11 p.m. and 5 a.m.